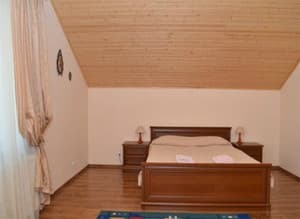 The cottage «Townhouse Panorama» is located in with. Glade of the Transcarpathian region, 200 meters from the sanatorium "Sunny Transcarpathia", in a surprisingly beautiful place with a panoramic view of the Carpathian mountains. The cottage consists of 4 rooms-apartments. Each room is a two-storey apartment, designed to accommodate from 2 to 6 people. On the ground floor there is an entrance hall, a toilet, an equipped kitchen, a spacious dining room with a dining table, a large living room with soft folding furniture, a TV. On the second floor there are two spacious bedrooms with double beds, a wardrobe, a chest of drawers and a TV. Description of the room: Two-storey apartment with a total area of ​​100 sq. 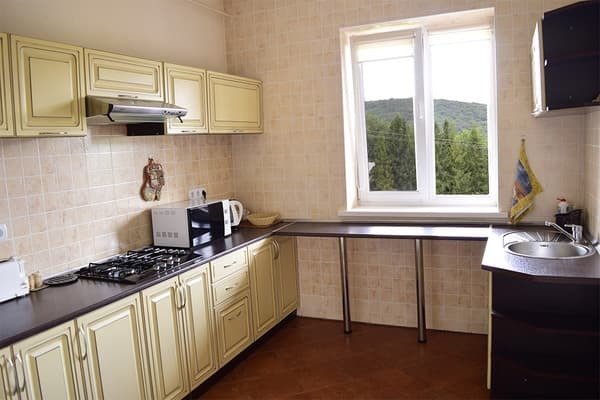 M. On the ground floor there is an entrance hall, a toilet, an equipped kitchen (gas cooker, fridge, sink, kettle, toaster, microwave oven, dishes), a spacious dining room with a dining table, a large living room with soft unfolding furniture, a TV. On the second floor there are two spacious bedrooms (24 sq m and 17 sq m) with double beds. There is a bathroom between the two bedrooms. Check arrival: from 15:00 - 16:00 hours. Check leaving: to 09:00 - 10:00 hours. The apartment has a kitchen for self cooking. Nearby there is a cafe. Transcarpathian region, Svalyava district, with. Glade. 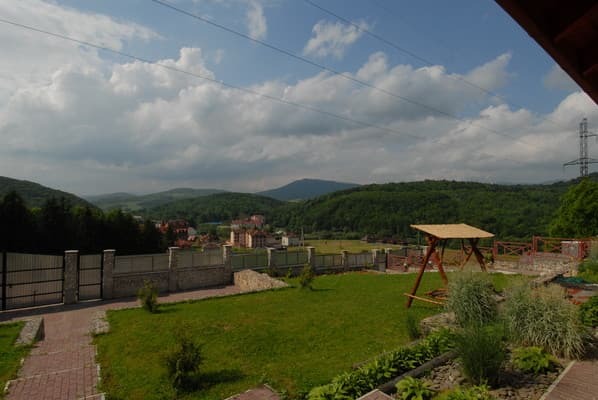 Near the sanatorium "Sunny Transcarpathia". The distance to the nearest ski lift is 2 km. 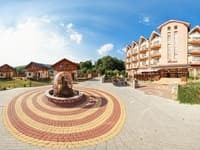 Balneological resort Polyana with mineral water "Polyana Kvasova" is a great opportunity to get better and undergo treatment at the sanatorium "Solnechnoe Zakarpattya". By train - to the station Svaliava (direction to Uzhgorod). From the station Svaliava, it is possible to provide a transfer (free of charge). By car - along the road Kiev-Lviv-Chop (M-06), turn right after the sign to Svalyava, and go to the village of. Glade. In with. Glade to pass through the first bridge, turn left on the pointer to Perechin, drive 1 km to the first turn to the left.